A little Mexican ska, anyone? Los Kung Fu Monkeys are a ska punk band based out of México, Canada and the US. Formed in Tijuana in 1997 when brothers Tarek and Hassan Limas, with Bernie Leos, joined their talents. 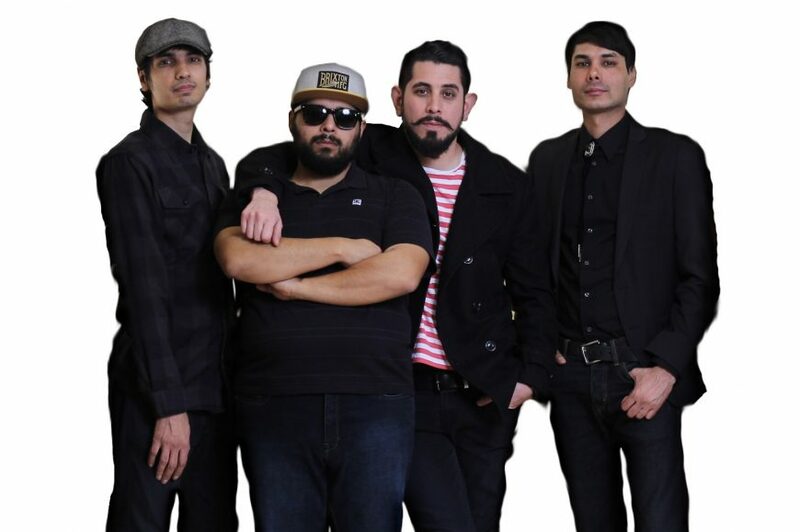 Influenced by the Californian punk scene, the third wave ska movement and Latin rock, these guys play some fast-paced songs with hard vocals and very melodic horn lines that will stick in your head for days. After 20 years of hard work they are considered pioneers of the ska punk movement in Mexico, having played some of the biggest festivals around the world like Warped Tour (USA), Vive Latino (Mexico), Victoria ska festival (Canada) and have toured many times all over Canada, United States, Mexico and Europe. They have released a series of albums starting with Rebuilding the World in 2001 and End Transmission in 2003 on One Shot records. The self-titled album on their own label RIOT RADIO Records in 2006 and in 2009 Übersee Records asked LKFM to release an EP exclusively for Europe. As a result they released the Lobo Hombre en Paris EP. In 2010 they release their first vinyl record a 7” 45 RPM split records with the Voodoo Glow Skulls on Cafeina Riot Radio Records and also releasing a greatest hits record in Japan on Ska In The World Records/Disk Union and their latest record in 2015 Rude Boy Rockers on stomp records. Their 2016 and 2017 highlights were opening up for The Mighty Mighty Bosstones in their hometown of Boston in a sold out show at the house of blues, touring Australia and also getting to tour 17 dates with Fishbone, The Reverend Horton Heat and Strung Out in the US. Just wait for these guys to whip Dashville into a frenzy.